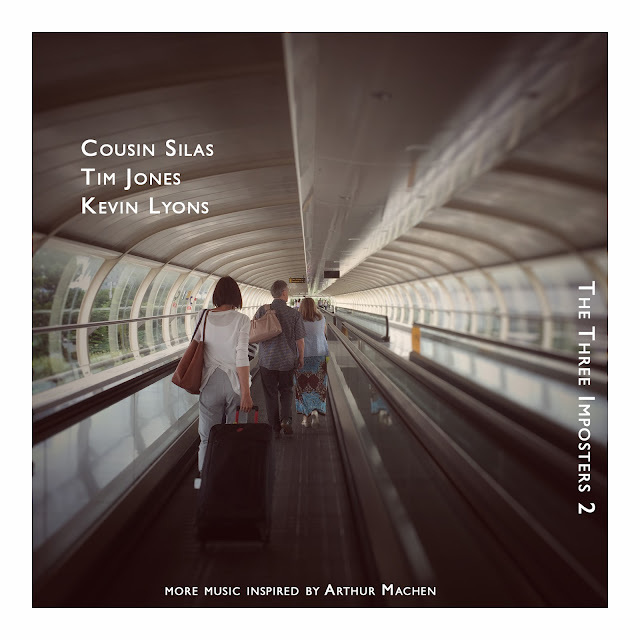 Beginning where the first album left off, "The Three Imposters 2" is further evidence of the creative outpouring that occurred in July 2016 when Cousin Silas, Tim Jones & Kevin Lyons got together to watch obscure Hammer Horror films, eat pizza, drink too much coffee, and discuss their shared love for Arthur Machen's influential weird fiction. Samples of found sounds, glitchy Radiophonic loops, washes of the most languid synths, an otherworldly choir, and Silas' trademark ambient guitar all play their part to help create something very special indeed. This is weird music for the weirdest of fiction, and it works really well as an accompaniment to Machen's writing and that of other writers in the genre. 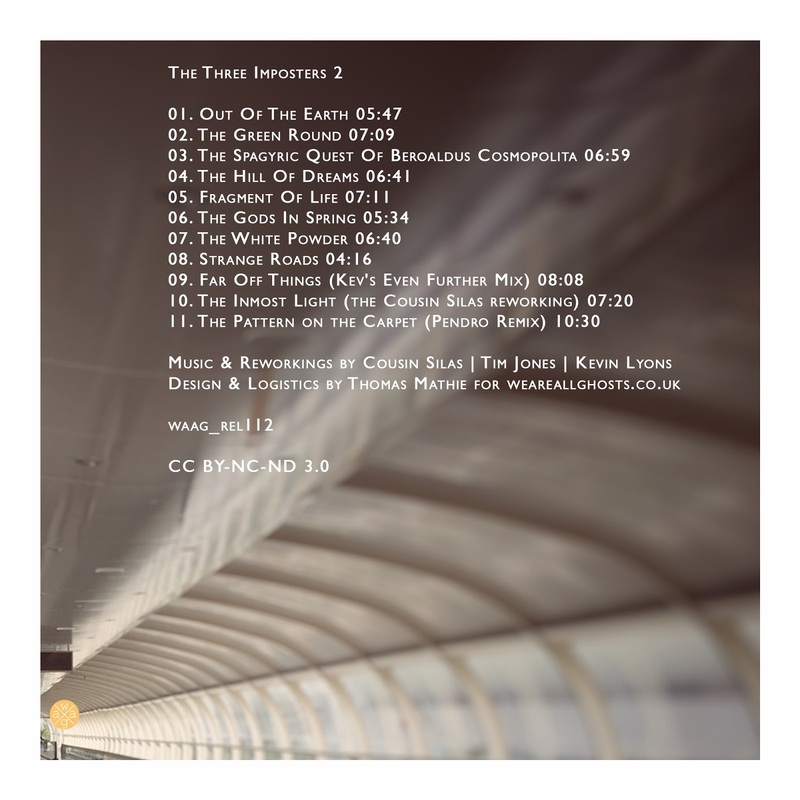 This isn't the easiest of listens at times, it can be challenging ... but through such adversity comes reward, and I found "The Three Imposters 2" a very rewarding listen, one that gives again and again. I especially enjoy the reworkings by Silas, Jones & Lyons; they are something of note that bodes well for the future as these three grow and develop further as musicians. As before, my thanks goes to the original Three Imposters and to Warren Daly … Adrian Nicholls ... Drew Miller ... and the wonderful waag community ... for their generous support. A 320kbps version of this release will be available, for free, over on Archive with a lossless version available on Bandcamp for ‘pay what you want’.